we have updated the homepage of our tourist information website AKIHABARA JAPAN. We would be very glad if visitors to our website could get some hints of how to enjoy the trip in Akihabara from our contents. Today, we would like to introduce some “untraditional” tourist spots in Akihabara that cooperated for the shooting. Meat Soup Noodle SUSUMU, a noodle restaurant born in Akihabara, is famous for its huge amount of meat topping! The restaurant may leave you deep impression due to its huge amount of pork (the maximum could be 800g). Although a bowl of noodle with a lot of meat looks great, let’s order the amount that we can eat up! 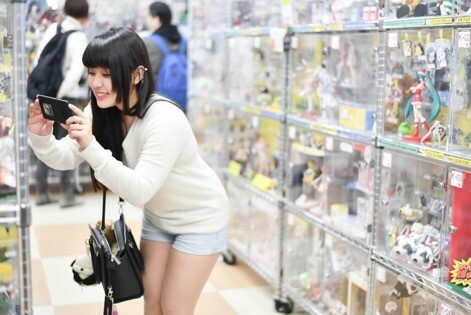 Astop enjoys great popularity in Akihabara, as it is a place where you can have your own selling space! Recently, more and more people, especially foreign tourists are coming to find goods with a specific target in mind. And there are few stores that offer rental space for people to sell their collections. But Astop is not. It is an ideal place where you can surely get what you want and you can also rent a showcase so as to find your collections a new owner. A “Love Live” with History and Tradition – Kanda Myojin Shrine! As the sacred place of a popular animation “Love Live!”, there must be no one who doesn’t know Kanda Myojin Shrine now. Besides that, the shrine also actively holds collaborative events with many other animations. No one could deny the shrine belongs to Akihabara! Taito Station Akihabara Branch is a big-scale game center facing to Chuo Str., which can hardly be missed by a big “Space Invader” on its signboard. 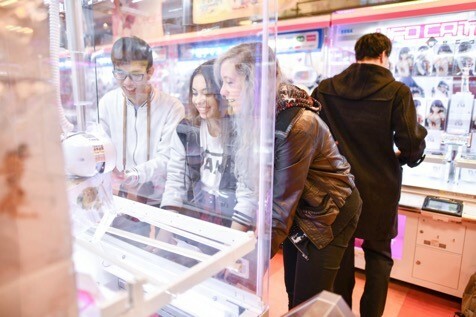 From 1st floor to 5th floor, there are a variety of machines installed in it, such as claw crane, instant photo machines (to make tiny stickers), rhythm game and etc. You can enjoy a whole day there! Then, let’s move on to the maid café! When talking about the origin of Moe culture, we can never forget to mention @home café! It is a representative tourist spot of Akihabara and used to be awarded the TripAdvisor Certificate of Excellence! We strongly recommend you begin your maid café journey from this shop! 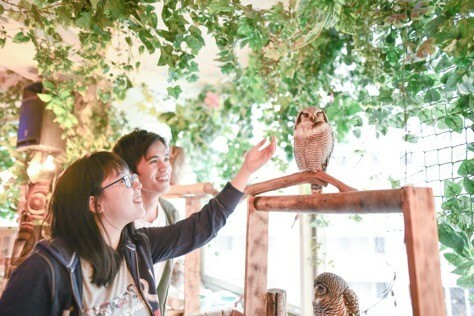 Owls Forest is a famous owl café that sparked the prevalence of Akihabara’s animal café. The café has the largest number of owls in Japan. Since we have few opportunities to interact with owls in normal life, please come and let them to comfort you! 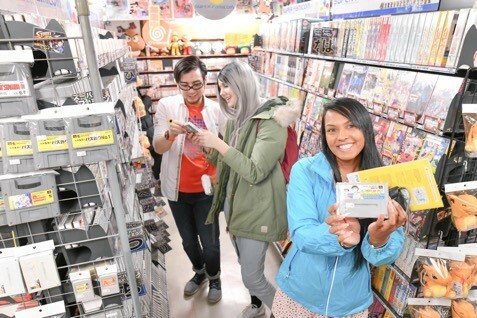 Game maniacs from all over the world gather around the No.1 retro game shop Super Potato! The shop has almost a full lineup of games released in 80’s and 90’s, so it may not be an exaggeration to say it’s the No.1 retro game shop in the world! You can always see the shop crowded with people from different countries, who are coming for retro games. The traditional restaurant Alba Curry, a successor of mainstream Kanazawa curry! 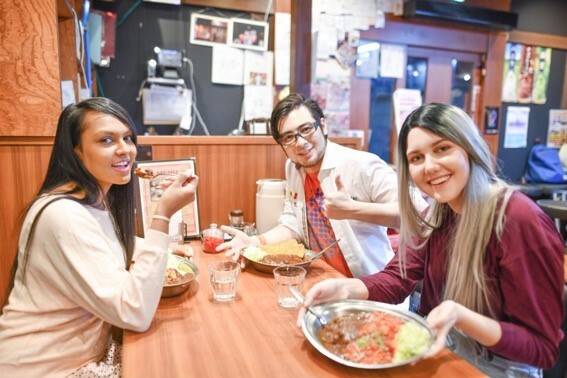 The authentic Kanazawa curry is loved by many people and its origin can be tracked back to the restaurant offering western food in Kanazawa in 1955. The curry has a rich taste but nice to your tongue (no strong spice used), so please stop by and have a try! Now then after our introduction, is there any shop that you think is well worth a visit? Although the above shops are a little different from traditionally called tourist spots, we think our introduction would be helpful for you to understand the reason why so many people from all over the world come to visit Akihabara. We opened AKIHABARA JAPAN as a website for introducing the tourist information of Akihabara on Mar. 17, 2017. And it will soon mark its first anniversary. Our goal is to convey the attractiveness of Akihabara, such a town packed with a variety of culture, to both domestic and foreign people. We would be very glad if people visiting Akihabara could fully enjoy their journey as pictured above. Finally, we hereby acknowledge the assistance of the photographer Dolly Monster, staff from partner shops and all the other people involved.